held in downtown San Jose alongside Apple's WWDC. AltConf is a community-driven event, assembled to serve developers and a product driven community. 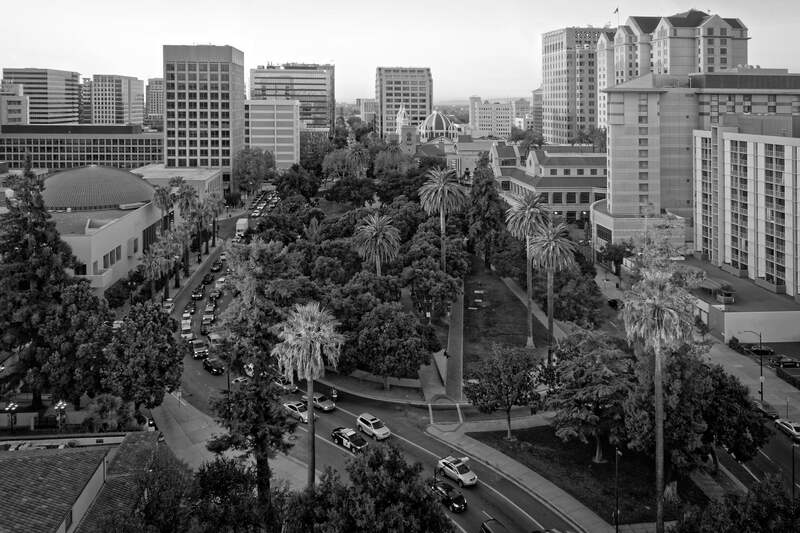 Held in downtown San Jose at the San Jose Marriott with 900 seats spread over 2 theatres. AltConf is an annual event timed alongside Apple‘s WWDC, June 3-6, 2019. AltConf will be hosted next door to WWDC, with a direct connection between the San Jose Marriott and the San Jose Convention Center as well as an entrance beside the WWDC entrance, we've never been in a better position to bring an amazing conference to the community! If a participant engages in harassing behavior, event organizers retain the right to take any action to keep the event a welcoming environment for all participants. This includes warning the offender or expulsion from the conference with no refund. AltConf remains free for the majority of attendees. Paying for a Hero Supporter ticket is an option, not a requirement. Becoming a Hero Supporter is a great way to show your support for AltConf and helps us to start a budget for next year. Hero Supporter tickets provide guaranteed seating to speaker sessions, a swag bag, and a reason for your employer to approve your attendance. AltConf will continue to provide a limited number of Hero Supporter tickets as part of our Diversity and Inclusion Scholarship. Applications are available here. Seat availability for the Free ticket holders is on a first-come, first-served basis. Call for Speakers – Submit your Talk today! Our 2019 Call for Speakers is now open! We have lots of speaking opportunities available, and love having varied and diverse content. Click the link below to sign up - submissions close on April 29, midnight PDT. All submissions will be anonymously reviewed and selected by a small group of local community members. Once selections have been made, a member of the AltConf team will be in touch to let you know the outcome. Read all about our 2019 events in London, Paris, Berlin and Madrid! Interested in becoming a sponsor? We've got lots of opportunities to spend time with the iOS community!